In case you’re unaware of the story of Hamlet, it’s one of Shakespeare’s greatest tragedies, based in Denmark and centred on its Royal family. Prince Hamlet has suffered some serious emotional blows in recent weeks not least the destruction of his family. With his father, the King of Denmark, recently deceased but still warm in the ground, his mother Queen Gertrude marries his Uncle Cornelius. It’s all a bit incestuous, and understandably Prince Hamlet is pretty upset about it all. There is a general theme of murderous revenge tinged with a generous helping of madness, and lets just say it doesn’t end well…for anyone. “Something is rotten in the state of Denmark”. In response to the question posed in the opening paragraph; YES. Shakespeare and Benedict Cumberbatch work incredibly well together. Benedict looked just as at home reciting Shakespearean English as he did when he was cracking the enigma code. One of the greatest debates surrounding Hamlet in literary circles is whether or not Hamlet actually is mad, or simply feigning madness. Cumberbatch does an excellent job of playing up to this century old debate, and still leaves you guessing. His composure and ability to transform as an actor are perfectly suited to this demanding role. A testament to this is sitting in the Gala Theatre in Durham on a chilly October evening in 2017, watching his performance from 2015 but feeling as if you’re sat in the Barbican watching it live. As would be expected with a play of this magnitude, the entire cast is incredible, Sian Brooke especially who plays a modern day Ophelia who loves photography but is intoxicated with a very troubled Hamlet. The scene that shows her dangerous mental state was particularly powerful. Her sombre, ethereal walk over the mounds of mud towards the escaping light is so poignant it sent chills up my spine. The NT Live screenings are so well executed that I cannot recommend them highly enough. If you happened to miss seeing the original productions on stage, or just generally love theatre these screenings are the perfect way to catch up on some wonderful performances. 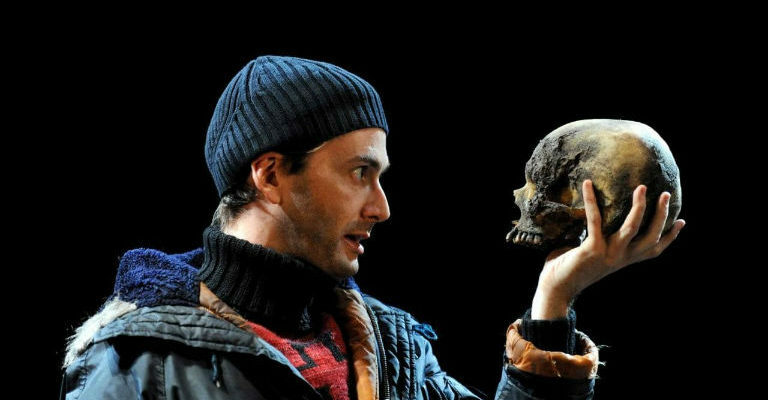 This production of Hamlet is by far one of the best interpretations I’ve seen, and if there were to be another screening coming up, I would encourage you to grab tickets, there really shouldn’t even be a question about it!